This is an absolutely important—and brilliant—recent book by someone who knows what she’s talking about. It is clear, thoughtful and, yes, inspiring. It is a book that I believe should be read by every social change activist in (at least) North America. It is written by a woman who has extensive experience in the labor movement, but who also has experience as a radical student organizer as well as a community-based activist and educator. It is also, though, limited when it shouldn’t be. McAlevey’s focus is on power, and her key point is that ordinary people can develop the power to win social struggles, whether to unionize, fight for a new labor contract, or win community struggles. She is absolutely correct. The question at hand, however, is: will they? Her argument is that the reason they haven’t done so, particularly over the past 30 or so years, is because they have been led by people who basically have little understanding of what they have been doing. Accordingly, even when there have been successes, most have been temporary, because structural power has not been forced to change. As the cases in this book … illustrate, the chief factor in whether or not organizational efforts grow organically into local and national movements capable of effecting major change is where and with whom the agency for change rests. It is not merely if ordinary people—often referred to as ‘the grassroots’—are engaged, but how, why and where they are engaged (9). These are the key two sentences of the entire book: where and with whom does the agency for change rests?, and how, why and where they are engaged? The mobilizing approach differs: “Mobilizing is a substantial improvement over advocacy because it brings large numbers of people to the fight. However, too often they are the same people: dedicated activists who show up over and over at every meeting and rally for all good causes, but without the full mass of their coworkers or community behind them.” This, she argues is the way that most “progressive” activism has “organized” over the years, and she is (rightfully) very critical of it. The third approach, organizing, places the agency for success with a continually expanding base or ordinary people, a mass of people never previously involved, who don’t consider themselves activists at all—that’s the point of organizing. In the organizing approach, specific injustice and courage are the immediate motivation, but the primary goal is to transfer power from the elite to the majority, from the 1 percent to the 99 percent. Individual campaigns matter in themselves, but they are primarily a mechanism for bringing new people into the change process and keeping them involved. The organizing approach relies on mass negotiations to win, rather than the closed-door deal making typical of both advocacy and mobilizing. Ordinary people help make the power analysis, design the strategy, and achieve the outcome. They are essential and they know it (10). Key to the organizing approach is the focus on what she calls “leadership identification.” She uses a broader conceptualization of leadership than is common in most “people’s organizations,” whether community activist organizations or unions. Most organizations conceive of leaders as those who hold a formal position—president, vice president, trustee, etc.—and who can be found on the organization’s “org” chart. In other words, if you don’t hold a formal position, you’re not a leader. And building on experiences from both the Civil Rights Movement and the labor movement, she argues that the place where the most dangerous conditions for organizing occurs today is in the workplace. She is not advocating that everyone engage in workplace organizing—although I’m sure she wouldn’t mind!—but to her, these are the most difficult cases, and therefore, the most important to mine. But, as she emphatically notes, “This is not about union organizing; it is about organizing.” She gives a lot of food for thought for everyone, wherever they are engaged in people’s struggles. Where this really comes together is in her second chapter: “The Power to Win is in the Community, Not the Boardroom.” In this, she recognizes the necessity of understanding workers and their relationships to the community in which they live, and the strategic power that can be built by organizing the community. Importantly, she critically discusses the work of Saul Alinsky—to many people, the “dean” of community organizing—and shows how harmful his work has been to organizing in communities. McAlevey proposes to return to what she calls “the CIO approach” as an antidote to Alinsky’s “model.” While she essentializes the CIO’s experiences, seeing them all as being wonderful—see Staughton Lynd’s 2017 article, “John L. Lewis and His Critics: Some Forgotten Labor History That Still Matters Today” in the journal “Class, Race and Corporate Power” (on-line at http://digitalcommons.fiu.edu/classracecorporatepower/vol5/iss2/3/) that challenges this—she gets it right as to the best of the CIO unions: they understood that workers’ lived in communities, that these were important to the unions, and when organized, the members and leaders of each community could be of substantial help to workers. She further discusses this, and she adds some interesting analysis by Joseph Luders in The Civil Rights Movement and the Logic of Social Change. However, her heart, and much of the book, focuses on the labor movement. And it’s a pretty clear-sighted look at the contemporary labor movement. She recognizes it is in terrible shape, and as one with extensive experience within it, does not try to paper-over its weaknesses and failures. This is not a paean to the wonderfulness of the American labor movement! Interestingly, the way she illuminates the situation is by comparing two completely different approaches to building unions. Perhaps most clearly shown in the chapter on nursing home organizing, she compares the mobilizing approach of Andy Stern and much of the Service Employees International Union (SEIU), with the organizing approach of District 1199 of the SEIU, and shows the much more successful approach of the latter. She uses two other labor struggles to illustrate her thesis that unions can win, even under the worst of circumstances. First, she looks at how progressive teachers took over the Chicago Teachers’ Union and, through both workplace and community organization, were able to lead a successful strike against Mayor Rahm Emanuel in the fall of 2012. This example is even more important in light of the teacher rebellions so far this year in West Virginia, Kentucky, Oklahoma, Colorado and Arizona, as at least some of the West Virginia teachers got their inspiration from Chicago. It was the single largest private-sector union victory of the new millennium [until the 2014 victory of American Airlines customer service agents, as she points out in an endnote]. And it happened in the South, in the state with the lowest rate of union membership in the entire country: 3 percent. The new, ratified contract not only guaranteed a $15-an-hour wage but also sick leave, paid vacation, health care, retirement benefits, overtime pay, guaranteed minimum work hours, job security through a ‘just cause’ provision, and tools to remedy dangerous work conditions. She finally looks at the experiences of an organization called Make the Road in New York City. It is a multi-racial organization of working people in the City, which is trying to unify people on the basis of class. But she uses this as a negative example, arguing they are utilizing a mobilizing approach instead of an organizing one. The community-organizing sector today is weak, and labor is weak—and weak plus weak does not add up to the strength that can stem the anti-labor tide. Forty years of Alinsky-inspired community organizing have not done it; fifty years of business unionism have not done it; and the past twenty years of a mobilizing model veneered as a robust organizing plan to revitalize unions, relegating workers to one of a dozen points of leverage, have not done it, either. This is pretend power, and it doesn’t fool the employers. How do I evaluate this book? Excellent, and essential. And I don’t say these things lightly. As a long-time anti-war US military veteran who turned around while on active duty, one who is a long-time union and community activist, as one who fought plant closures in the San Francisco Bay Area, has tried to do union organizing in the Kentucky and Tennessee, has supported the teachers in Chicago, and done community organizing in Northwest Indiana, I think this is an important book. McAlevey has clearly had some excellent mentors in the organizing world, and she’s obviously learned from and then gone beyond them. She has clearly learned from her experiences. And, even more importantly, she is now sharing them in a clear, readable account—and one that goes considerably beyond what I’ve highlighted. I cannot recommend this book highly enough. In other words, to me, this is just the beginning of the struggle, not the end. There’s no question that before we can go farther, we must build on the organizing model: I accept her arguments. But my question is: where do we go next? McAlevey doesn’t put this into a larger social context, such as the current socio-economic situation in the United States: there is extensive evidence that the capitalist economic system in this country is being attacked by competing economies and cannot meet the needs of growing numbers of working people, neither for good jobs nor for even jobs at all (see my 2009 article, “An Alternative Perspective for the Global South: Neoliberal Economic Policies in the United States—the Impact of Globalisation on at ‘Northern’ Country,” on-line at https://faculty.pnw.edu/kim-scipes/wp-content/uploads/sites/20/2017/04/Neoliberal-Economic-Policies-for-US-2009.pdf. My update hasn’t been published yet.) So, how are people going to address this? She certainly envisions community being built by those in struggle. A good start. But what happens after a struggle concludes? What happens when workers leave a job, or community members leave a neighborhood? I think this would be much better addressed if she discussed building on-going community cultural centers—community-based and democratically organized—that were independent of the union/community organizations, but which provide critical community infrastructure for the long-term. These could be seen as places where people could gather without having to buy something, but could also provide space for people to simply “hang out,” as well as meeting space for various organizations, including unions and/or community organizations. Tied into this, but surprisingly absent from McAlevey’s discussion, is any discussion of creating an alternative media project for each community. Obviously, this, too, could be located in one of these community cultural centers, although it wouldn’t have to be. Nonetheless, it seems critical to be able to provide a pro-people’s vision of community development, and of community struggles, from a pro-people’s perspective that comes from the community, not corporate media. As well, there is no discussion of education of people. How do we provide information to community members in a way they can understand, which is presented in a way to enlighten, not obfuscate? Where can people get together to discuss issues facing the community, now or in the future? How can they get good, accurate information regarding environmental destruction, climate change, war, militarism and its effect on the US economy, etc.? Where can they get access to books and journals at no or extremely low cost? Where can they think and communicate about “ideas”? And where can they get information on other important matters, such as regarding things like racism/white supremacy, sexism/male supremacy, homophobia, transphobia, etc.? Where can they get training on mediation, and addressing community conflict? Where can they get ideas and support on progressive child raising? Hell, where can they learn about organizing, say when they are not engaged in such already? My sense is that there is a lot of disempowerment and hopelessness across the US these days, although obviously, to greater or lesser extents across the country, varying by area. People seem to be tremendously dissatisfied and want to find ways to build community, and to find ways to make their lives better. But the 30-plus years of neoliberalism and hyper-individualism have taken their tolls. However, the 2016 presidential campaign of Bernie Sanders showed that people will respond to progressive efforts and positive messages. The large numbers of new entrants into electoral politics this year (2018) show that people want to find new ways to change. While including electoral politics, however, we must not confine our efforts to them: political issues are much too important to ignore except for every 2, 4, 6 years. We have got to find ways to bring people together, and to build the broader sense of community that so many of us seem to want. Establishing community cultural centers seem one way forward. (For one example, see Vincent Emanuele’s article, “Red State Organizing in the Age of Trump” at https://zcomm.org/zmagazine/red-state-organizing-in-the-age-of-trump/.) But when we decide to move, we need to incorporate Jane McAlevey’s clear thinking into the center of our efforts. 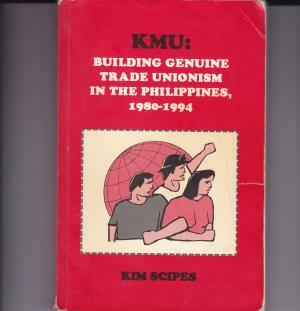 Kim Scipes is a professor of sociology at Purdue University Northwest in Westville, Indiana. His latest book is an edited collection titled Building Global Labor Solidarity in a Time of Accelerating Globalization (Chicago: Haymarket Books, 2016). For a listing of his publications, please go to https://faculty.pnw.edu/kim-scipes/publications/#2.